Do you like wine, food and entertainment? If you answered yes, Uncorked is for you! 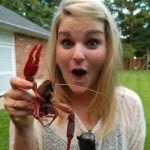 Forum 35, a group of young men and women bettering Baton Rouge, recently adopted a blind wine tasting event, Uncorked. The event was founded 10 years ago by seven local guys who went to a similar event while traveling and thought it would be a great fit for Baton Rouge. After a successful 10 years of events, I’d say they accomplished their goal! You’re probably wondering what Uncorked is, so let me explain. Young professionals couple their love for wine, their passion for a good cause and their desire to mix and mingle with like-minded people in a fun, casual social setting. Downtown Baton Rouge venues are selected to host the events to help foster the resurgence of the downtown social life while benefiting charities where the evening’s donation will make an impact. 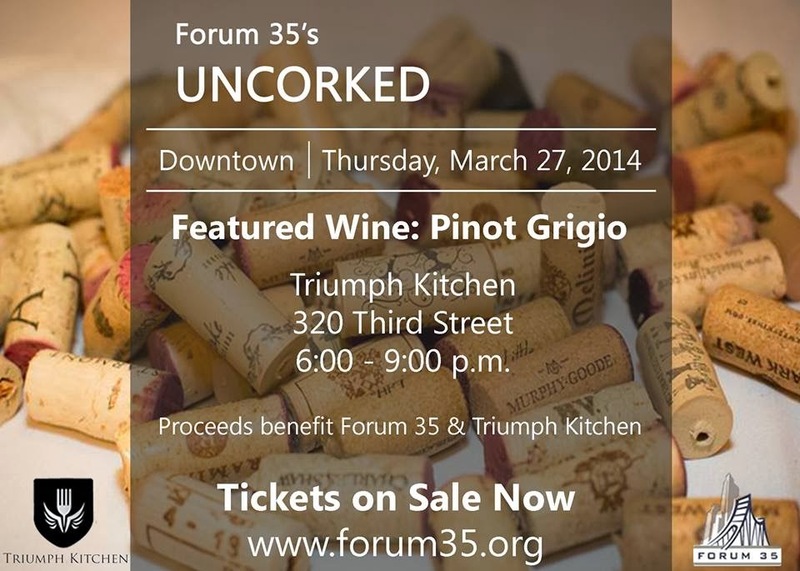 On March 27, 2014, Forum 35 and the chosen charity partner, Triumph Kitchen, will host Uncorked in downtown Baton Rouge at Triumph Kitchen and DeLaronde Hall. The varietal of wine chosen is Pinot Grigio and Minos the Saint will be providing entertainment. Teams of 1, 2 or 3 can register for the event at forum35.orgor at the door the night of the event for a small donation of $25.00 per person. Teams of 1, 2 or 3 bring 3 matching bottles of Pinot Grigio. Upon arrival, two of the bottles of wine are bagged and numbered for a blind wine tasting and one will be put into the winner’s prize lot. From 6:00 p.m. – 9:00 p.m., attendees will taste wine brought by other participants, enjoy light appetizers and entertainment and hear about the Triumph Kitchen. Towards the end of the event, participants will vote on their favorite and least favorite bottle of wine on the ballots they receive at check-in. The 1st, 2nd and 3rd place winners will be announced (who will go home with many bottles of wine) as well as the loser, who will be given back their bottle of wine. Come and Unwined at Uncorked on March 27!